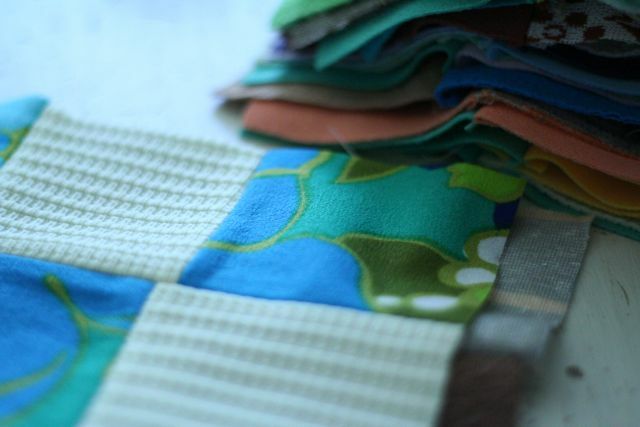 I found a bunch of old quilt blocks in a bag, they are all polyester but they have interesting variety and color. 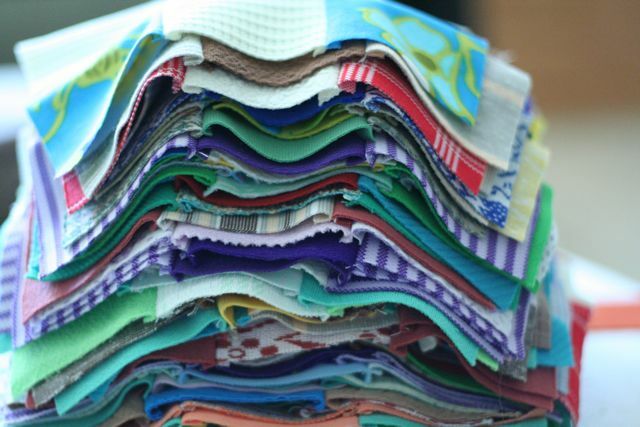 I want to use these for a craft, something for gifts for Christmas but the only two things I have come up with are, pillows or hot pads, and being polyester the hot pads are probably not a good idea. Isn’t polyester highly flammable? Might add interest to a party or dinner with family but not the interest I had in mind. Please help me find some fun ways to use these. Any suggestions? Or links to sites that have examples would be lovely! This entry was posted in Thrift Finds on September 28, 2010 by Deanna. They would make lovely carrier bags… I would love, love to have a bag made up of those!!!! I agree with Joaninha. They would make great bas. Maybe you could use them for your grocereys. Super cute and Super green. I can’t tell exactly how big they are. I know you will do something terrific!! What a great find. You know, my MIL gave us a poly camp quilt when we got married (she didn’t have time to make us another sort b/4 we came home from Japan to marry) and we have been married almost 35 years…. I’ve just last Summer replaced the flannel back…. but the rest it really warm and cozy still…. lol… it will last longer than us I’m afraid…. we use it as a blanket under our nicer looking quilt!